Why Buy Your Wedding Accessories From Bella Tiara? Your wedding is an amazingly unique moment in your life – so you will want to look beyond perfect. You will want to feel like a true royalty as you walk down the aisle and you will want everything about your look to be absolutely flawless. The accessories you wear are extremely important when it comes to creating the perfect bridal look. But why buy your wedding accessories from Bella Tiara? We have gathered some of the reasons that will surely convince you – so read on to find out more. We have everything you need. You don’t have to search thousand-and-one stores to find all of your wedding accessories – here at Bella Tiara, we have gathered everything you need, under one roof. From gorgeous tiaras to splendid wedding veils and from spectacular earrings to stylish wedding belts and sashes, we have everything you need to make yourself look and feel like a true princess. Not only do we cover a wide range of types of products, but we also cover a generous array of styles too. Regardless of what type of wedding you may want to have – be it very casual or extremely elegant – we can provide you with the accessories that will complement your Big Day. Our prices are very diverse too. Regardless of whether you are running on a tight budget or on a more allowing one, we will provide you with high-quality pieces to accessorize your bridal look. What’s more, we regularly have sales that allow brides to purchase jewelry and accessories at lower prices than the usual – this way, helping them to save money and not compromise their looks in the process. Want to find out more about our products? 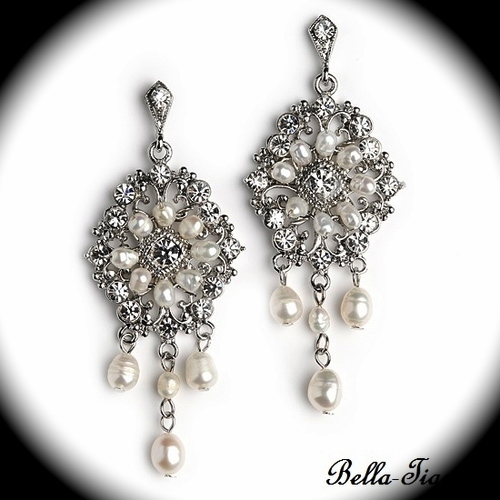 Come visit Bella Tiara, take a look around and order your favorite wedding day accessories! 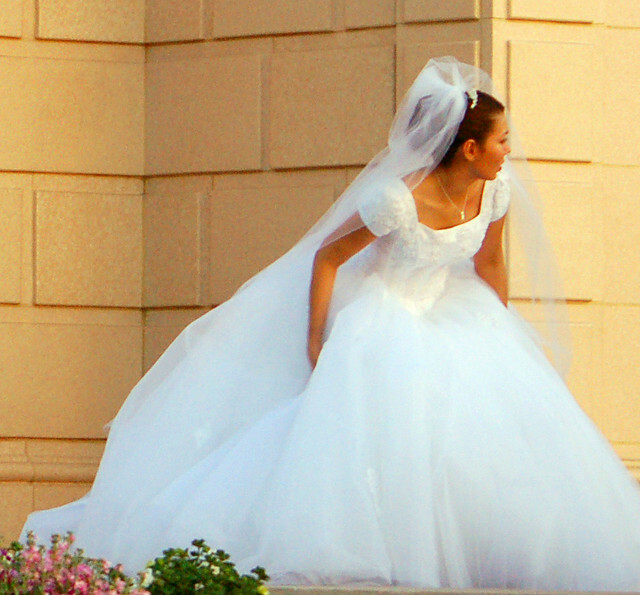 Regardless of how large or small your event may be, a wedding can still get quite costly. After all, every wedding vendor has his/her own fee you should be prepared to meet – and when added up, the entire wedding can reach some pretty impressive sums of money. Here at Bella Tiara, we understand this better than anyone. But we also understand that, as a bride, you will not want to make compromises for your look and you will want to feel truly gorgeous as you walk down the aisle. The sale includes all kinds of jewelry. From elegant bracelets to luxurious earrings, we have included a wide range of stunning accessories in our sale – so come and take a look at them to select the ones that suit your personal style and your wedding gown. Furthermore, we have also included a beautiful variety of headpieces as well. This includes hairpins and wedding veils that will make you feel like a true princess living her own real-life fairytale. Please keep in mind that the quantities for these items are quite limited. Therefore, we advise you not to delay the purchases because they may not be in store later on! Hurry up, grab your own gorgeous accessories and feel like the Queen of your Wedding Day! Want to find out more about us? Want to come and see what products we have on sale? Come visit Bella-Tiara and allow yourself to be mesmerized by the elegance, uniqueness and beauty of the accessories we offer! Come visit us and emphasize your natural beauty with the most awe-inspiring bridal jewelry and accessories! Few moments are more important for a lady than the moment she says “I Do”. The magic of those two words, the power of being “husband and wife” and the nervousness of this entire day will follow you for the rest of your life! Naturally, you want to look stunning on your Big Day. You want to shine, you want to be exquisitely stylish and you want to be sophisticated and timelessly elegant. You want to be the kind of bride your granddaughters will take inspiration from on their wedding days. Here at Bella Tiara, we understand this better than anyone out there. But we also understand that a modern bride’s budget can be quite tight – especially with the high costs of everything wedding-related. This is precisely why we have organized a winter clearance sale to help you choose amazing accessories for your bridal look and save money doing this too! What are some of the most important things to know about our clearance? Read on and find out more. Our clearance includes a wide range of accessories a bride might need on her wedding day. From hair pins to earrings and from bracelets to wedding veils, we have gathered a beautiful array of items you will definitely love. The prices range from $9.99 to a few tens of dollars or more. A stunning pair of and an elegant Swarovski headband will look amazing on you – and with our clearance sale, you can get them for less than $50 total! Our advice is to hurry up! These items are in low quantities and their unbelievably low prices will make them “disappear” really quickly! Come visit Bella-Tiara and take a look at the items we have on sale this winter! Come visit us and pick from our superb collection of bridal accessories meant to make you feel like the Queen of your wedding day! We all know just how important it is for a bride to choose a wedding dress that suits her body and her style 100%. But we also know that the right accessories can make or “break” a wedding look too. What are the most important tips for accessorizing your wedding dress, though? Read on and find out more. Color. These days, wedding dresses come in all colors under the sun. Most of them are variations of the white dress (such as creamy whites, silver whites or champagne whites). Even if your dress is in the “white” range, you should still make sure to accessorize it according to the exact shade of white you are wearing. For example, bright white will look good with silver and platinum jewelry, while ivory white (and all the other variations on it) will look better with yellow gold jewelry. Wedding gowns tend to be intricate and complex, so make sure you take this into consideration when choosing the accessories so that it doesn’t look like it’s “too much”. Even more, make sure to take into consideration the design of the neckline especially (both when choosing the earrings and when choosing the necklace). For example, a halter top neckline will look at its best without a necklace, but with a pair of luscious cascading earrings. You don’t have to wear a wedding veil and/or a bridal tiara. Sure, it looks beautiful, but if you want to feel really gorgeous wearing one (or both) of these accessories, remember to take the design of the dress into consideration, as well as your hairstyle. Also, don’t forget to consider how formal or informal you want your wedding to be (for example, you might want to wear a shorter veil if you want to dance a lot). No matter what type of bridal accessories you may be looking for, Bella-Tiara will be able to provide them to you. From stunning earrings to fabulous tiaras to make you feel like a real-life princess, we’ve got it all – and they all look mesmerizingly beautiful. Come visit our shop and see for yourself! When choosing the necklace, make sure you take into consideration the type of dress you will wear. For instance, a dress that shows more skin on the upper part will most likely look great with a statement necklace. However, if your dress covers more of the upper part, you should choose something that is more delicate (or skip the necklace part altogether). When choosing the earrings, take into consideration your wedding dress style and your hair style as well. For instance, if you want to pull your hair up, create balance by choosing a pair of earrings that is more noticeable. However, if your dress has a very intricate design (especially on the upper part), you might want to make sure that your earrings are simpler. You don’t have to wear both a tiara and a veil. If you want to, you can definitely do this but these days, the “rules” of what a bride can and cannot wear are far more flexible than they used to be. However, if you decide to have both a tiara and a veil, make sure they match each other and that you choose a hairstyle that looks good with both of them (you might want to keep it simpler). Here at Bella-Tiara, we can provide you with the most gorgeous tiaras, wedding veils and pieces of jewelry to accessorize for the Big Day. Come visit us and take a look around – you will definitely be enchanted by the stunning designs we have in store for you! A bridal veil is an excellent accessory, and one that can make you feel even more special on your wedding day. It’s something that you don’t get to wear on any other day of your life. If you’ve chosen the style of veil you want, you might still have questions about how to wear it and when to take it off. Depending on what style you’ve chosen, you might have the ability to wear your veil over your face. This is a traditional choice, with the lifting of the veil becoming a part of your wedding ceremony. In general, if you’re wearing your veil like this, it will be lifted at one of two points. It can be lifted by your father when he gives you away, or by your groom at the end of the ceremony when it’s time for the first kiss. Of course, many styles do not need to be worn over the face, and can be a beautiful accessory. Some styles can be worn throughout the ceremony and reception. If you do want to remove your veil, the best times for this are after the ceremony (and any photos) or after the first dance. In either case, it is traditional to leave the veil as a decoration on your chair at the top table. You can also have a bridesmaid take it up to your bridal suite if you’re worried about damage, though! If you’re still looking for the perfect bridal veil, check out our large selection today! Are you inspired by the photos of Sean Parker and Alexandra Lenas’ huge Lord of the Rings style wedding? Their big budget wedding showed how you can really transform your venue into a wonderfully fantastic space with the right accessories. If you’re planning a fantasy themed wedding, you’ll also need to make sure your bridal style fits the theme. Fantasy themes, like medieval themes, are the perfect time to wear a fabulous veil. Look for something longer, such as a cathedral length veil, which can surround you in a flowing lace. Veils are the ultimate bridal accessory, so are worth investing in. Along with a veil, though, consider your bridal jewelry. Look for pieces that can add touches of sparkle, and that will reflect the lighting in your venue. Another great choice is to find a sparkly headpiece for after the ceremony. You might not want to wear the veil for the full evening, so a tiara or crystal headpiece can give you a special look that’s perfect for dancing. To find all the great accessories you need for your fantasy themed wedding, check out our online shop today! If you’re planning a summer wedding, you’ll want accessories that are perfect for the season. This means choosing pieces that aren’t too heavy — or too hot for you to be comfortable in throughout your wedding day. Look for light and airy styles, especially for your veil. Birdcage veils are a great choice for the summer, as they are light enough to wear all day. If you want a traditional veil, consider a fingertip veil or a delicate clip-on veil. For your jewelry, you’ll want to combine the glamour you deserve as the bride and comfort. Look for a necklace with a smaller pendant, or a single stone pendant. 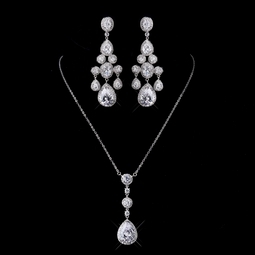 Pair this with earrings that really sparkle for a fabulous wedding day look. Adding a tiara is also a great choice, as it adds beauty and can keep your hair back for added comfort. Whatever your wedding style, there are plenty of great choices for your summer wedding day over at Bella Tiara. Check out our great selection today! This week, Avril Lavigne told MTV that planning her wedding is like a full time job. The singer, who is engaged to Nickelback frontman Chad Kroeger, also divulged that the pair are planning a themed wedding. We can’t wait to see what Avril and Chad do for their big day. The pair are known for their love of some non-traditional things, so we think this might be reflected in their wedding theme. Of course, it’s also certain to have a musical flair. However, we would love to see Avril in a traditional gown, whether she goes with white or a different color. With her long blonde hair, she would look fabulous wearing a beaded headpiece. If she opts for an updo, we think she’d look particularly beautiful in a birdcage veil. If you’re looking for the perfect accessories for your wedding day, whether you’re planning a themed wedding or a traditional wedding, check out our selection online! How your hair looks on your wedding day is a big deal. In fact, a recent survey showed that 73 percent of American women think her wedding day is a woman’s biggest hair moment in life! One way of making your hairstyle really special is to add some floral touches. While you might be able to get some real flowers to add into your hairstyle, the results can be hit or miss. It’s never a guarantee that the flower will look exactly right, or that you’ll be able to get the precise type of bloom you want. However, when you opt for a fabric flower, you know in advance that it’s perfect. It’s also a great way to add a bit of sparkle to your hair. Many styles of flower also have rhinestone or crystal accents that take the light beautifully. We offer a wide variety of flowers for your bridal hairstyle, so there’s something for everyone. Some styles also have a veil included, meaning you only need one headpiece on your big day. Check out our selection or get in touch if you have any questions!